The lack of a dedicated, hardware Back button on the iPhone has been something that many people have derided ever since Android first made that button so popular. Being able to stab at a button and be returned to the thing that you were just looking at is a real boon in Android, and the fact it is still missing in iOS rubs a lot of people up the wrong way. Of course, Apple has started to rectify its wrongs with the inclusion of something that resembles a software Back button in iOS, but in truth it’s nowhere near the same. Giving developers the option of placing a software alternative to the Back button at the top-left of a screen that is ever growing means some of us just can’t quite reach it without either shifting our iPhone’s weight in a way that feels like we’re going to drop it, or resort to using two hands like an animal. It just won’t do. 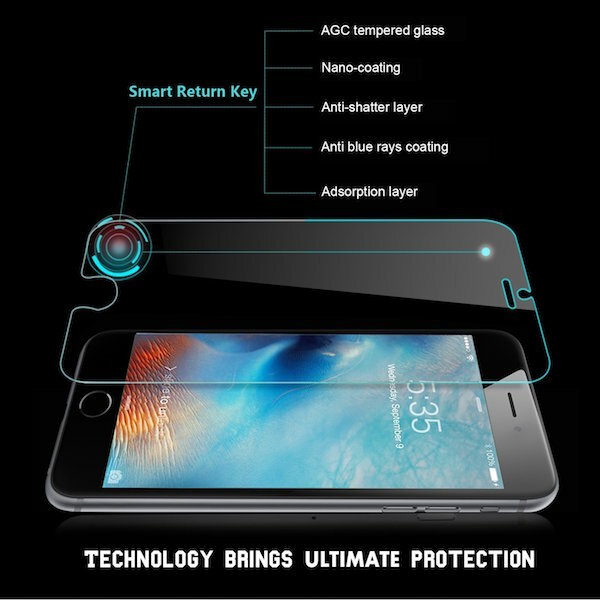 As it turns out, there’s a screen protector on the market that claims to add a hardware Back button to the iPhone 6 and iPhone 6s series and, it actually works. 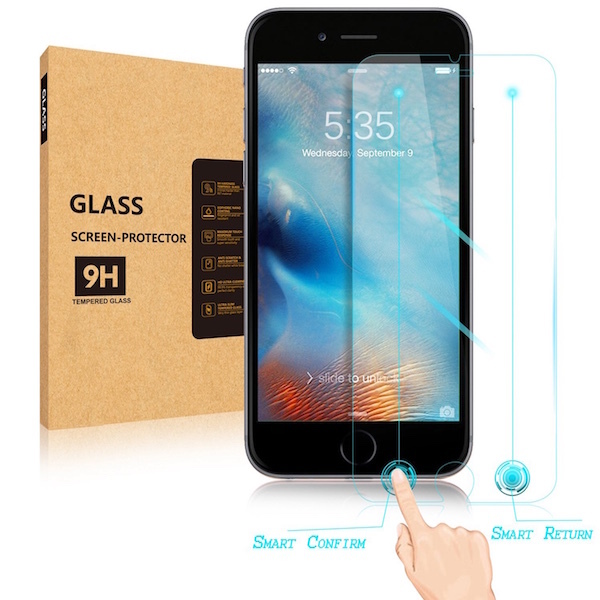 Looking just like any other screen protector, this one not only allows for a hardware Back button but also a Select, or Return button as well. The way this thing works is to link the bottom-left and right of the screen protector area (on the left and right side of Touch ID) to the top portions, so when users tap either side of the iPhone’s Home/Touch ID button, a tap is registered in the same place that the iOS software Back and Edit/Select buttons are located. It’s a clever hack of sorts, and while far from ideal it’s certainly a workable option for those that need it. Costing $10, this thing isn’t going to break the bank, and if you iPhone is just a tad too big for reaching the top corners or you just crave a hardware Back button for your device, then giving this a go is well worth your time. Oh, and it will help stop your screen from getting scratched too! its not a “back” button, its does whatever is in that position; if its a back button it works or if your on snapchat its a chat or camera button. or just get the 4” 5SE or SE!!! Way to re-hash old news you morons!! You showcased this article about 6 months ago when Engadget reviewed it! The product does not work as described… It renders the top part of your screen useless, you have to press on or around it multiple times just get the top of the screen to respond. I guarantee that you’ll install it and in less then 30 minutes you will take the screen off. Now I can only speak of the two I tried on my phone, because the first one didn’t work well and the second one somewhat worked. Or just double tap the home button….. But what if an app needs the right swipe gesture?